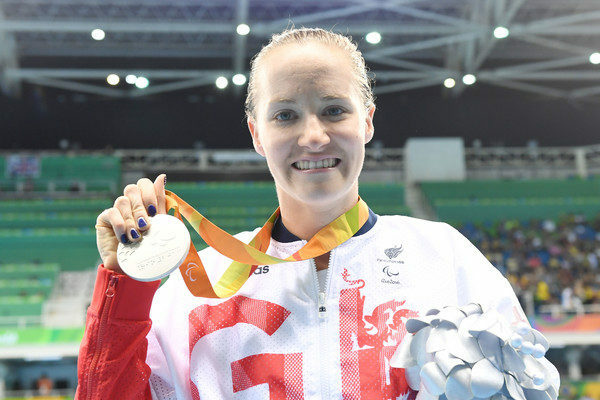 Paralympian Claire Cashmore has won multiple Paralympic medals for swimming, but has now decided to try and new venture! We’re looking forward to continuing our support through this exciting journey. Please read her blog below. You may have noticed from my pictures and social media posts, I am spending a lot less time in a swimming costume and more time in cycling lycra, wetsuits and running gear. After 16 years, 4 Paralympic Games and 8 Paralympic medals as a swimmer I have a lot to thank swimming for. I have made some friends for life who I have shared many amazing memories with. It has helped me develop and grow and definitely made me into the person I am today. After Rio I took some time out to reflect, travel and think about what I wanted to do not just in life but also in my sporting career. After a lot of thought, I decided that I wanted to give Para-triathlon a go. Triathlon was included in the Paralympics for the first time in Rio and it’s a discipline that has long piqued my interest.. and admiration. In February I was given a spot on the UKSport talent transfer programme. It has been a great adventure so far and an excellent new challenge! British Para-tri are giving me extremely useful guidance and have helped to make my transition both smooth and enjoyable. They are a welcoming bunch and I quickly felt part of the team. After a successful few races and a win at British championships I have been selected to race at the World Championships in Rotterdam in 2 weeks. I therefore thought now was an appropriate time to announce my change of sports. Watch this space for more detail on my para-triathlon adventures! Good luck Claire – we’re looking forward to supporting you on the para triathlon journey!